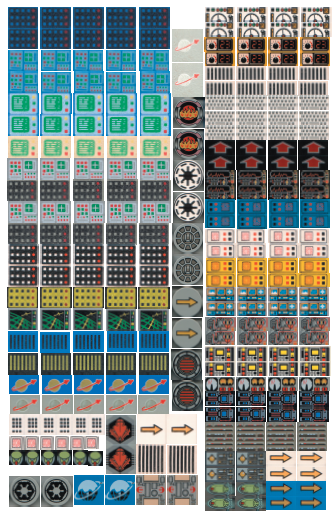 This is PDF file (suitable for use in Adobe Acrobat reader) of a set of scans that I made of several patterned parts generally from the space theme. You can download this file, print out onto adhesive label paper and stick them to your bricks to gain extra space themed pieces that might be difficult to get hold of. PDF File - WARNING 10megs in size.